The flat asphalt course will take runners on a spectacular journey through lush, mysterious landscape and rich history. The Dismal Swamp Canal Trail off Route 17 offers runner forested wetlands and a peaceful paved path along the wilderness of the Great Dismal Swamp National Wildlife Refuge. 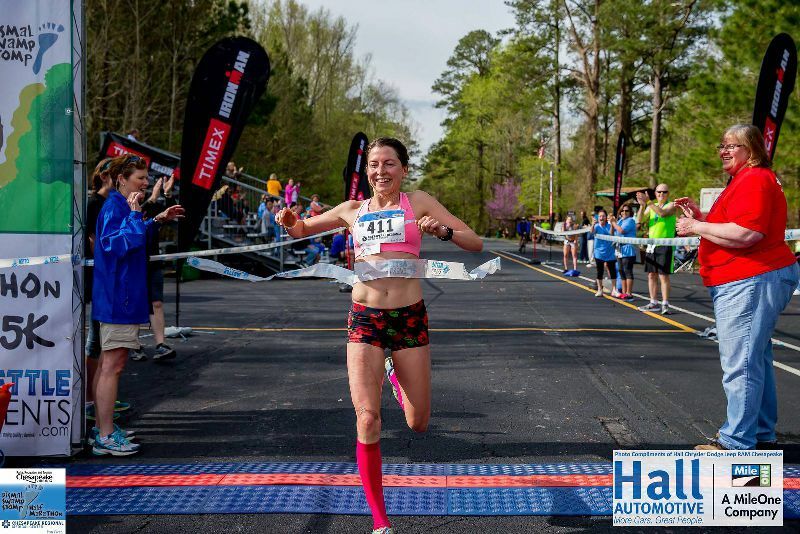 Runners can opt for half marathon, 5K, or kids half mile distances. 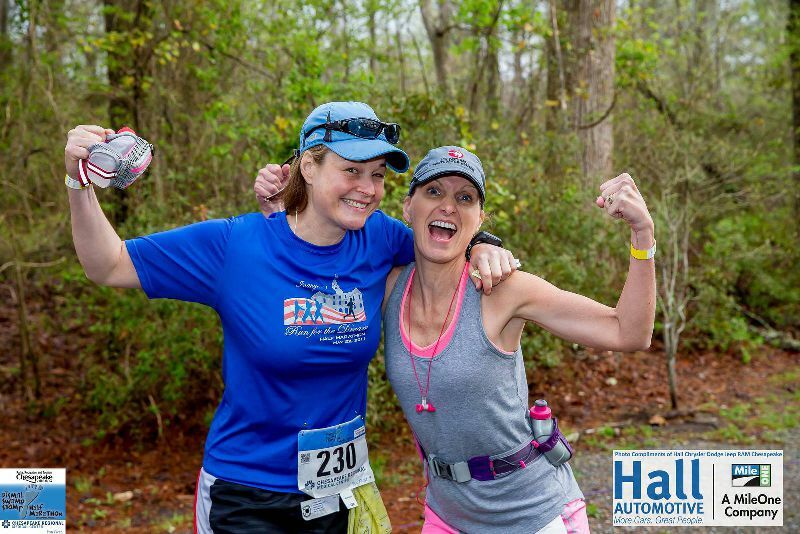 All race participants receive a custom race T-shirt and all finishers receive a finisher medal. In both the 5K and Half Marathon, our signature custom carved heron awards will be given to: the top three overall male and female and the top three overall male and female runners in each age group. Top three male and female walkers also receive an award. 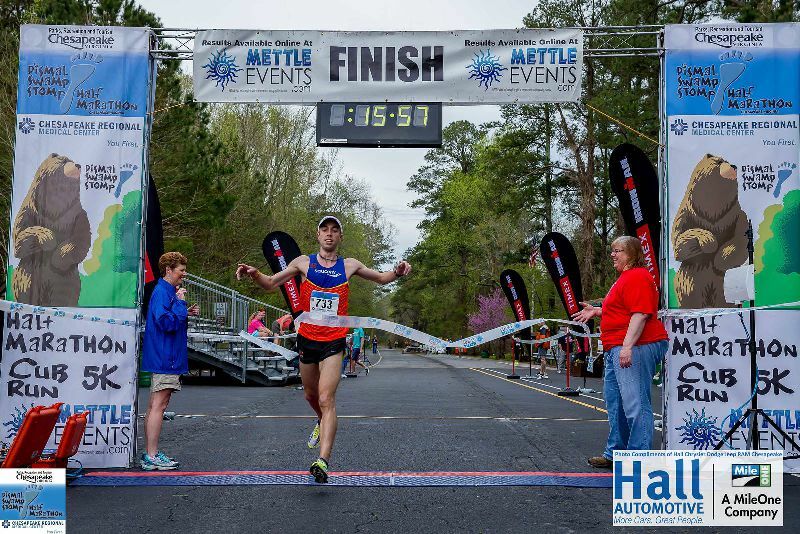 $4,000 in prize money goes to the top 5 overall male and female age graded winners in the half marathon. 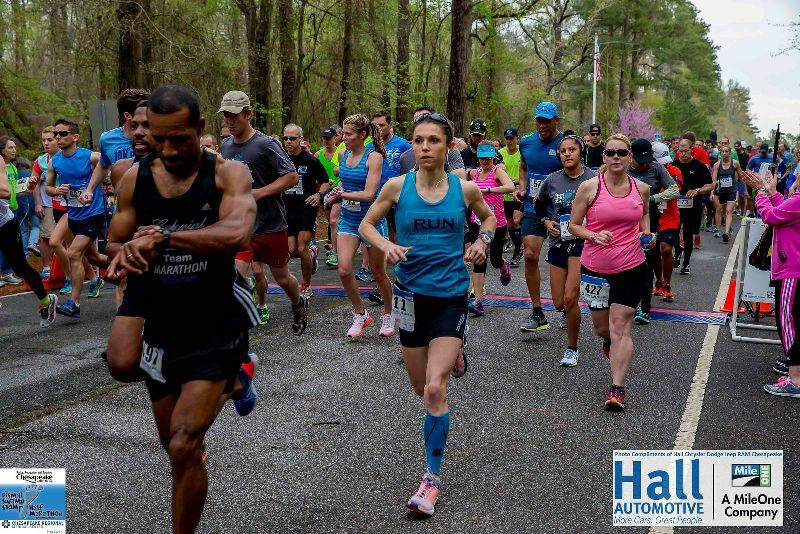 The flat 13.1-mile asphalt course will take runners on a spectacular jouney through lush, mysterious landscape and rich history. The Dismal Swamp Canal Trail off Route 17 offers runner forested wetlands and a peaceful paved path along the wilderness of the Great Dismal Swamp National Wildlife Refuge. 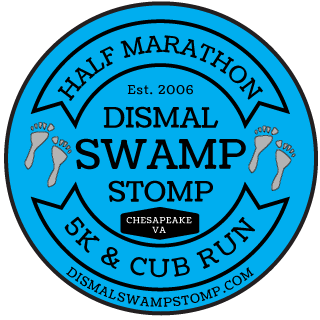 For the second year the Dismal Swamp Stomp will also incorporate a 5K run/walk. 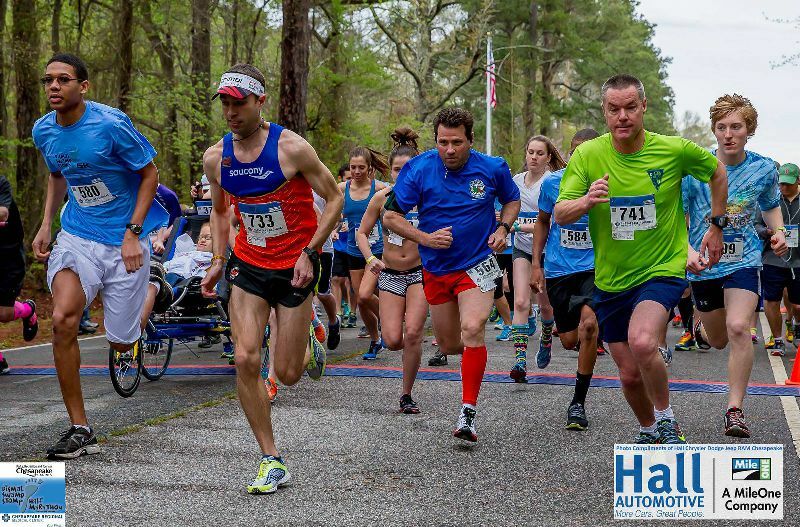 The 5K will start and finish in the same locations as the half marathon, and will start 5 minutes after the start of the half marathon. All entrants receive a race premium, custom finisher medal and age group winners will receive custom awards. Returning this year, the Children's Half Mile Cub Run sponsored by Bay Screen and Graphics. 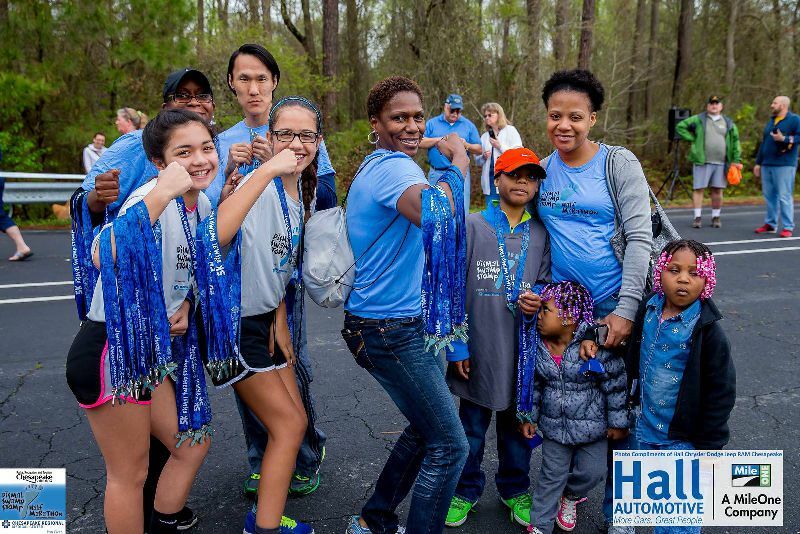 This half mile out-and-back fun run for children ages 12 and under is the perfect complement to our successful Dismal Swamp Stomp. All children will have access to the special children's activity area sponsored by Primrose Schools prior to the race and will receive a t-shirt and runner's packet. They will also receive a finisher's medal when they cross the finish line. Parents are welcome to run alongside their children. The cub run will start at 11:30 at the carved bear at the trail head and will finish across the half marathon finish line. Sanctioned by USA Track & Field, the out-and-back race will be held rain or shine. The event is limited to 2,500 runners and applicants will be accepted on a first-come/first-served basis. All runners/walkers must be able to complete the course in 4 hours or less. 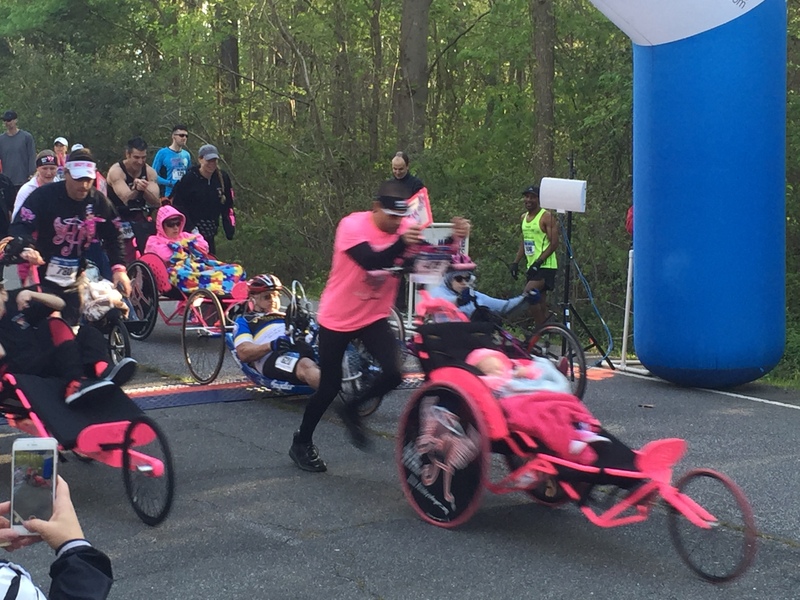 This race is open to walkers and baby strollers. 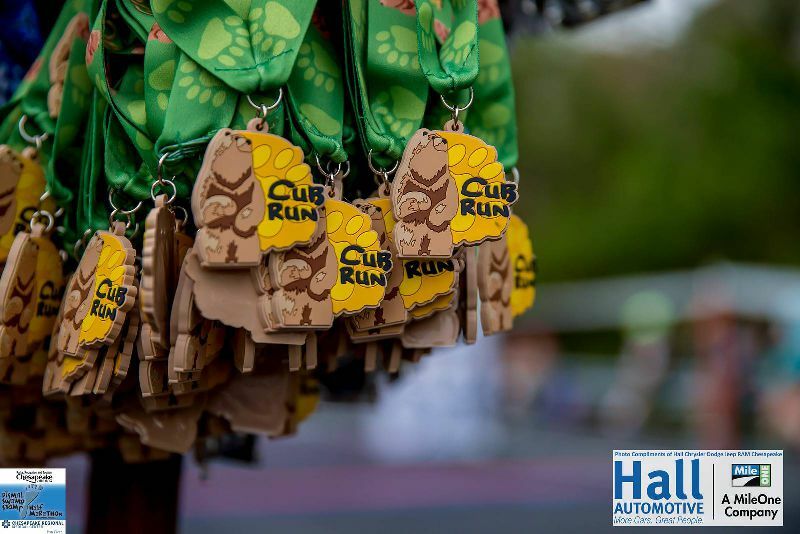 In both the 5K and Half Marathon, our signature custom carved heron awards will be given to: the top three overall male and female and the top three overall male and female runners in each age group: 12-15, 16-19, 20-24, 25-29, 30-34, 35-39, 40-44, 45-49, 50-54, 55-59, 60-64, 65-69 and 70 and over. Top three male and female walkers in the half marathon are also awarded. Each registered participant will receive a finisher's medal when they cross the finish line. Cash awards in the Half Marathon will be provided to the top 5 male and female athletes based on AGE GRADED results. Follow this link for an age grading explanation. 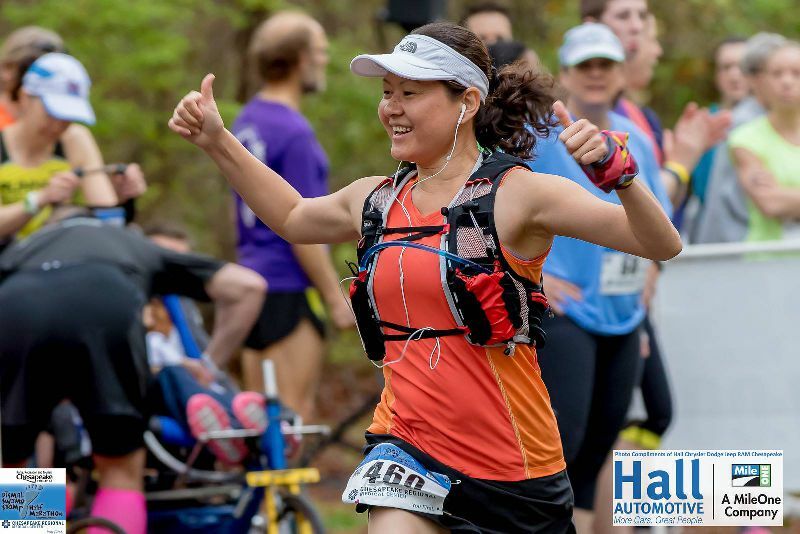 Race Expo/Packet pick up will be at Chesapeake Regional Medical Lifestyle Center, which is located at 800 North Battlefield Blvd., Chesapeake, VA 23320. The hours for packet pick up are on Friday, April 5 between the hours of 3:00PM to 7:00PM. If these hours do not work for you, a friend may pick up your packet for you.